A benchmark can also be referred to as a yardstick, standard, target, scale, or rank. In this last post, we will be pointing you in the right direction if looking for benchmarking data or specialists. At an individual enterprise level or whole farm level, how do you compare to other operations? Are you ready to understand your performance and profitability over time and how that compares to other like-businesses? Not sure about benchmarking? Read our two previous posts here and here. How do I get started benchmarking? You can benchmark yourself via accessing publicly available information or utilise the services of benchmarking firms. benchmark data comes from a range of sources and years. Ensure appropriate data is accurately collected, recorded and submitted to a central collection organisation using the agreed methodology and submissions are on time (Franks, Collis). In order to benchmark the performance of your own business against itself, you must first establish clearly defined goals, both at a whole farm/business level and then at an enterprise level. Business performance can only be judged against goals (GRDC). To access some benchmarking data, farmers have to pay a membership fee, others are free to farmers, being financed with producers’ levy money (Franks, Collis). Benchmarking services are provided by an increasing number of farm consultants, advisers, banks, accounting firms and extension providers (GRDC). Where can I access publicly available farm benchmarking data? How does my business compare? : “How does my farm business compare?” is a word document that presents weak, medium, and strong indicators under a range of financial ratios. Unsure when this publication was prepared, so benchmarks may no longer be relevant, however is useful in understanding ranges and how to calculate certain indicators. The drivers of farm business success – key stories from farm business benchmarking: This GRDC Update Paper is written by Phil O’Callaghan of ORM. Crop intensity of farming systems in the Wimmera/Mallee were analyzed. The top 20% of performers had 72% crop and 28% livestock. Benchmarking fact sheet: Provides actual benchmarking data from low rainfall area. An International Benchmarking Comparison of Australian Crop Production and Profitability: This report draws upon data from the international cash crop benchmarking network, Agri Benchmark. Data for the seasons 2011 – 2015 is used to compared the profitability and costs of wheat production in Australia to the regions in the world. 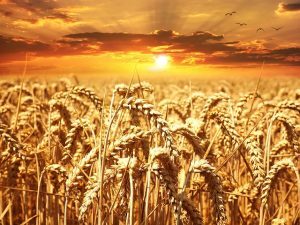 Australian wheat crops had the lowest yield in the global data set, however profitability per tonne was competitive with other countries as a result of price received. 2015-2016 Planfarm Bankwest Benchmarks: Each year, Planfarm and Bankwest release a report on the financial and production performance of broadacre farm businesses in WA. The report includes data from 532 farm businesses. The report is usually downloadable on the website, but for this one, you have to provide some details to access the full report. Benchmarking wheat water-use efficiency in Tasmania: This fact sheet summarizes desktop modelling work performed to benchmark water-use efficiency of wheat. The secondary aim was to model the sensitivity of changes in management practice on WUE. It would have been interesting for them to add in input and grain prices to see the economic results of these models. Australian Cotton Comparative Analysis 2016: This report has been commissioned by the CRDC to provide a comparative analysis of the 2016 cotton crop. The primary purpose is to show the income and expenses associated with growing a fully irrigated cotton on a per hectare and per bale basis. For average farmers, a yield of 8.9 bales/ha is required to cover total expenses, with the continued rise of costs worrying for the industry. The difference between average and the top 20% seems to be driven predominately by yield (58% of difference). As a result, the authors suggest that farmers should concentrate on growing higher yield within realistic cost framework rather than searching for dramatic cost-cutting measures if they wish to improve their performance significantly. Easy to read, well set out and insightful analysis. Irrigation Benchmarking: This report summarizes research conducted by NSW DPI that sought to benchmark water use efficiency. It was based on information from over 40 irrigators from Central QLD to Southern NSW in the dry years of 2006-07 and 2008-09, and 2012/13. Although a few years old, there is a huge variability in the difference between the minimum and maximum for all performance indicators.Where do you sit in relation to these indicators? Benchmarking cotton under centre pivots and lateral moves: This article covers the key finding of the Queensland Healthy HeadWaters Program from 2010/11 to 2014/15. 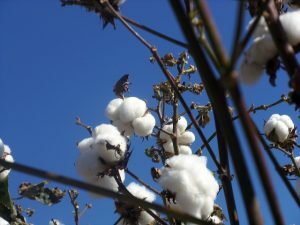 The research looked at 5 seasons of benchmarking data related to 138 centre pivot and lateral move irrigation systems, of which 68% were growing cotton. South West Victoria (Lower) – Livestock systems and Industry benchmarks: This webpage provides benchmarking data relevant to South West Victoria (Lower). This 3m ha area carried over half the Victorian sheep flock. Data is from 2014, but may be interesting to people who fall in high rainfall category and have beef and lamb enterprises. North East Victoria, South West Slopes NSW, South West Victoria (Upper) – Industry Benchmarks & Livestock Issues: This webpage provides benchmarking data relevant to North East Victoria, South West Slopes NSW, South West Victoria (Upper) regions. The regions are similar in that rainfall (and reliability of) is generally less than the South West Vic (Lower) region. Sheep are the predominant grazing enterprise in the cropping and improved pasture zones, and cattle in the less arable country. Can benchmarking your prime lamb production achieve what is possible? : This article on Sheep Central reports on the 2015/16 Holmes Sackett Benchmarking dataset. How is your prime lamb business going against these four benchmarks listed by MLA? Are you achieving a $25/DSE profit? 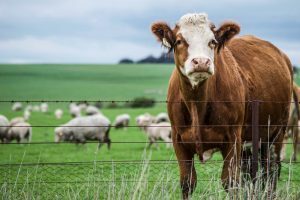 How are global and Australian sheepmeat producers performing? : These results only use a very small subset of farms, but really interesting to see that despite our high labour costs, we still have some of the lowest cost/kg lwt. Australian farms are the most profitable in USD terms, even outperforming through with substantial government payments. Our major areas for improvement are around reproductive efficiency, lamb losses and wastage. Benchmarking EP sheep enterprises: This report looks at the results of a benchmarking project across five sheep groups in the Eyre Peninsula. Insightful results over three years of benchmarking. 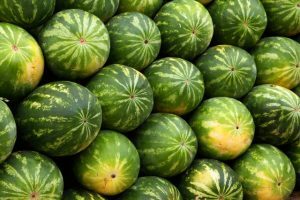 Commentary and analysis on the results, on the impacts of season and markets and how different producers responded flexibly, is not often seen in benchmarking reports. Beef + Lamb New Zealand Benchmarking Tool: This Beef+Lamb NZ tool benchmarking web tool allows you to select farm data across different regions that may be relevant to your farming situation. It aims to simplify analysis and understand more about key performance indicators. NZ data, but interesting to compare results across the ditch. It would be nice to have a similar tool for Australian farming regions, wouldn’t it?! More Beef from Pastures Industry: covers whole farm and enterprise benchmarks. Primary farm business and sheep industry benchmarks: covers whole farm and enterprise benchmarks. The Sheep’s Back Statewide Sheep Benchmarking Survey: The Sheep’s Back (TSB), funded by AWI, is Western Australia’s own sheep and wool network made up of over 1500 people interested in the sheep and wool industry. 307 of The Sheep’s Back members filled out a sheep benchmarking survey for the 2015/16 season. 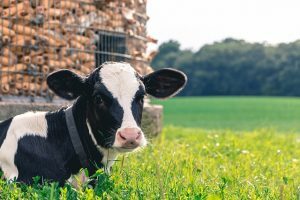 Dairy Industry Farm Monitor Project: The Dairy Farm Monitor Project is a joint initiative between DEPI and Dairy Australia. It provides financial and production analysis for farms across Australian states. Each state has a substantial report written on each. Really like the Profit Maps included in each. Worth checking out each year. Tasmanian Dairy Industry Benchmarking: This report from Dairy Australia presents benchmarking data from Tasmania. When benchmarked against other Australian states Tasmanian dairy farms often have a higher average return on assets and lower average cost of production. DairyBase NZ: DairyNZ’s DairyBase collates farm data that show comparisons between seasons and top performing farms across eight regions. Predominately performance-based indicators that are released each year by DairyNZ. Everything summarized, easily accessible and nothing to download. Australian Benchmarks: Each year, Red Sky Agri list the results of their benchmarking database, which includes 350 dairy farms and 90 sheep and beef farms. To access the full data, you must download the software and then add in relevant passwords (File – Farmer/Client – Retrieve- use login and password on the website.I then went back to File – Year and double clicked on the data I had retrieved to find the relevant data. There is a heap of information in there, just takes a bit of work to get there! It doesn’t appear that sheep and beef benchmarks have been released since 2002/03. Benchmarking – keeping a finger on your business’s pulse: Water benchmarking is not all about striving for efficiency gains – it also about identifying opportunities for increased productivity. The case study outline in here resulted in an increased farm gate return of over $500,000. Improving profit for the flower grower – A study using benchmarking: The flower industry in Australia is considered very profitable by some and loss making by others. There is no clear understanding of the cost structure and profitability, nor are the tools available to growers to help them identify not only their own viability but also the comparative profitability between plant types and varieties grown. This project aimed to identify improved practices in both production and financial management and to help enterprises become more profitable. There’s more! There are plenty more resources to be found in the Benchmarking Toolbox on the Farm Table. We recommend the work of AgriPath and Resource Consulting Services. Read more about their work and our relationship with Agripath and RCS Australia here and here. Please note this post has not been endorsed by either of these firms.